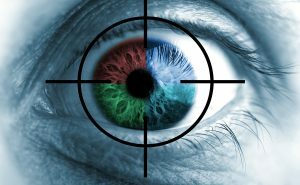 Active surveillance: What is it and is it right for you? What is active surveillance and could it be an option for your cancer? You’ve probably heard about radiation, surgery, and chemotherapy to treat cancer, but you may be less familiar with an approach called active surveillance. Active surveillance is most often used for men with slow growing forms of prostate cancer, but it may also be used for some cases of urethral cancer, intraocular melanoma (a type of tumor in the eye), and some types of blood cancer. Simply put, active surveillance is a treatment plan that focuses on closely monitoring your condition through regularly scheduled visits with your oncologist and appropriate blood and imaging tests, and, in some cases, tumor biopsies. During active surveillance, you will not undergo any treatment unless there’s a change in your test results that show that the cancer is progressing. When is active surveillance an option? In the case of prostate cancer, your doctor may also suggest this approach if you are older and the cancer is slow-growing and confined to the prostate so that you can avoid the potential side effects of treatment, which can have a significant impact on your quality of life. The first step in deciding whether active surveillance is the option you want to pursue is to seek a second opinion and find out if another experienced oncologist makes the same recommendation. Then talk with your doctor to gather the information you need to weigh the risks and benefits of the approach. A health advisor can be another helpful source of information, providing the latest research on treatment options, arranging in-person or virtual second opinions, and connecting you with doctors who are highly experienced at treating the type of cancer you’ve been diagnosed with. What are the risks and benefits of active surveillance? How do they compare with those of treatment, such as radiation, surgery, and chemotherapy? How often will you see me during active surveillance and what types of tests will I undergo? What types of changes in my test results would indicate that I need to move from active surveillance into treatment? Are there any symptoms that, if I experience them, mean I should come in for an appointment and testing before my next scheduled appointment? Are there any lifestyle changes, like diet, exercise, and smoking cessation, that you would recommend during active surveillance? Will choosing active surveillance affect my treatment options if the cancer grows or spreads?